In Simulink®, you can create models that are based on a modular design platform that comprises a fixed common structure with a finite set of variable components. The variability helps you develop a single, fixed master design with variable components. The approach helps you meet diverse customer requirements that are governed by application, cost, or operational considerations. Variants are the variable components of modular design platforms. 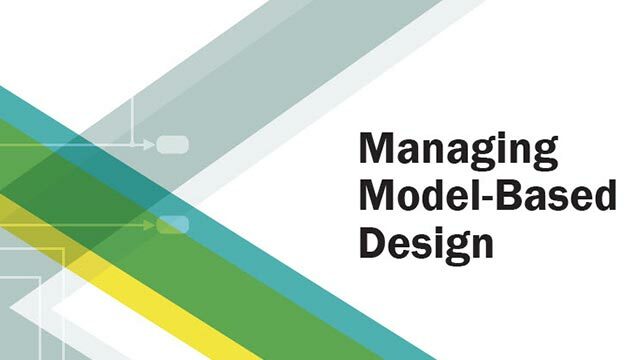 They help you specify multiple implementations of a model in a single, unified block diagram. For more information, see What Are Variants and When to Use Them. Single system that caters to multiple variant requirements. Learn how to create a model using Variant blocks. Learn how to control variant blocks. Activate, inactivate, or create default variant choices. Use MATLAB® code to define variant controls. Represent variant choices in Variant Subsystems. Propagate variant conditions outside of Variant Subsystem block. Understand variant condition propagation to conditionally executed systems. Represent variant choices using Inline Variants. 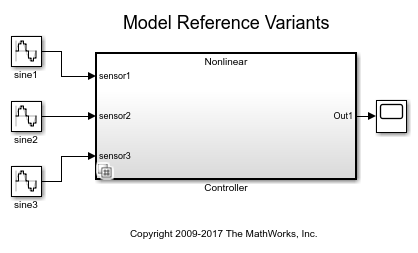 View the variant choices in a model containing Inline Variants. Propagate variant conditions from the Inline Variants block. Understand variant condition propagation to virtual and non-virtual subsystems. Understand how to create variant bus, generate code, and variant condition propagation with bus. Configure and generate code for a variant model. Use a central tool to manage variation points of a variants model. Create variant configuration for a model and validate their accuracy. Import control variables associated with a model. Generate models with a subset of variant configurations. Analyze model references and libraries for each variant configuration in a model containing variant blocks. A set of concept examples that illustrate some of the Simulink variants capabilities.